Nu-Heat offers a range of energy-efficient pump options that meet the requirements of the Energy Using Products Directive (EuP). 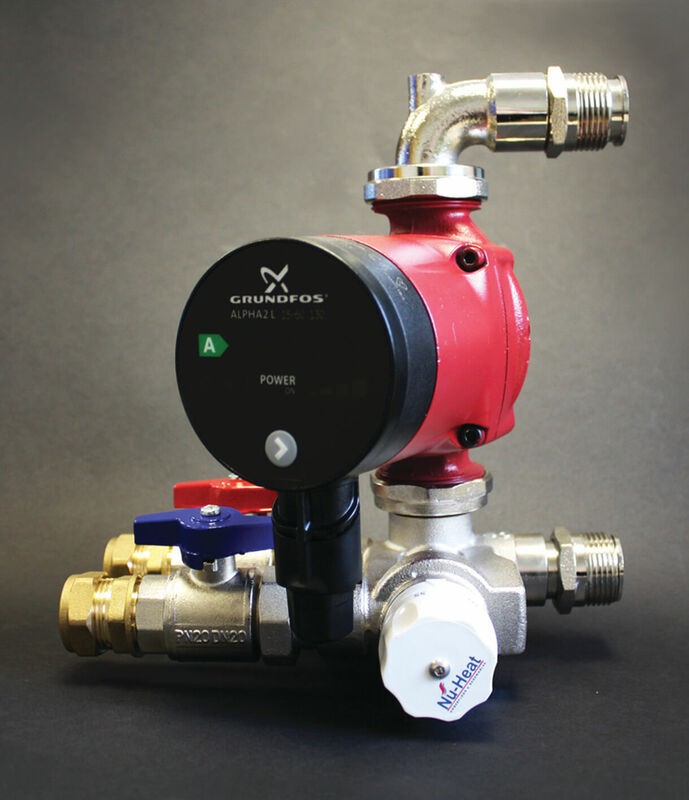 Nu-Heat now supplies the Grundfos UPS2, one of the most advanced energy efficient domestic circulators of its kind on the market today; essentially, a direct replacement for previous models. The reduction in power consumption has been achieved by using the latest permanent magnet motor technology. All underfloor heating system pumps, EnergyMaster thermal store shunt pumps, and heat pump charge pumps supplied by Nu-Heat meet the new standard. Applications that fall outside of the scope of the directive include solar thermal system pumps, and hot water loop pumps. Using pressure controlled operation power consumption can be reduced to as low as 5 watts. The new models are simple to install as new or replacement pumps, and are 130mm between ports. 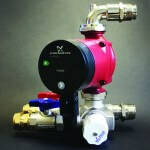 From January 2013 only energy-efficient pumps will be supplied as part of Nu-Heat systems.